Unfortunately, the audio recorded on Episode 15 of the Podcast is not as clear as in other episodes. Below is a transcript of Episode 15 for those who would rather read or read along with the conversation. NEIGHBORHOOD ARCHIVE: We are back with another Neighborhood Archive podcast and something tells me this one is going to be an all-time favorite. Some might recognize my guest today as an accomplished Broadway performer. Others may know her from her involvement with the Pittsburgh Ballet or as a talented artist. My guess is that most of you listening, however, will remember her best as the Neighborhood of Make-Believe’s telephone operator, Miss Paulificate. It is with great pleasure that I welcome Audrey Roth to the Neighborhood Archive. AUDREY ROTH: Thank you, Tim. NA: Absolutely. I really appreciate you taking some time to talk with us. NA: Well, I do definitely want to know about a lot of the different things that you’ve done outside of your involvement on the Neighborhood program. But, of course, one of the big things that I’d like to know about as well is your time on the Neighborhood show. So maybe we could start with how you got to be involved with the program itself and how you got to meet Fred Rogers in the first place. AR: You know how I did meet him. With Chef Brockett and his wife – Don and Leslie Brockett. My daughter and I – the whole family – we’ve been very good friends for years. And Don and Leslie always went to Nantucket for a few weeks in the summer and they invited Adair and me to share their cottage which was across the street from where Fred had his summer home called the Crooked House on Nantucket that you probably know. That’s how I met him first – that’s how we met him – and the following fall after I met Fred, I was doing the part of Mama Rose in Gypsy at the Pittsburgh Playhouse and Fred came to see it. And the following summer we were with them again and that fall he called and he said “I have two new characters on my show.” And I said, “Really?” And he said “Mm-hmm.” He said “They’re both named Audrey.” And I said, “Oh, did you name puppets for me? How nice!” And he said, “No. I have scripts written. And they’re both real people and they’re you.” So I was very pleased and he said “Would you be interested?” and of course I was interested. So that’s how it started and I can’t think, Tim, if it was ’69 or ’70. I’m pretty sure it was ’70 when I started. The parts were Audrey Cleans Everything – A.C.E is what they called it – and that’s in the real neighborhood. And in the Neighborhood of Make-Believe, there was Miss Paulificate. In a lot of those shows, Audrey Cleans Everything didn’t appear after a time which was kind of a shame but there were some criticisms from women, if you can believe it. And somehow the part sort of was just phased out. We had some wonderful shows -- funny fast cleaning. I cleaned a stadium. I cleaned a huge plane at the airport up on a…I can’t remember what they’re called…at any rate, I dusted off a plane. I had no idea planes were so tall until I had to clean them! At any rate, I say that part phased out and then Miss Paulificate just went on. I was thinking, when we talked about doing this, I was thinking about the parts I played in the operas. Which was everything from…we did the winter opera which was ____...but then Don and I were swans, potato bugs, I was a mama cat, I was a mama elephant for the Josephine the Short-Neck Giraffe opera. The operas were so much fun. Then I was the bubble seller in the one. And a fish…I think…there was hardly and animal that I didn’t play. But it was always a lot of fun. I don’t know if…I’m sure somebody’s told you…about every time we finished taping Fred always played, you know that “da-da-da.” He sat down at his piano and that was our signal that everything was over for the day. NA: That was the end, huh? NA: No, I never heard that. AR: Oh, didn’t you? Fred was a wonderful pianist. And then I do remember, the really special day, I came in to work and Fred came in and he said, “I wrote a new song.” And I said, “And what was that?” And he said, “It’s called ‘It’s You I Like.’” And it turned out to be my favorite and I think the favorite of a lot of people. I’m sure you know the song. AR: We used to do that, too, on special occasions or on personal appearances. I don’t know if anybody’s told you, too, that a number of us used to go traveling for the Education for the Bureau of the Handicapped. We went to Maine, South Carolina, countless other states. NA: And you went representing the show? With that, we go up on the stage and it turns out as people came in, it was all adults, Tim. They made a serious mistake in Washington and didn’t mean to send us. Then they were passing out – people on the staff – all the pictures that had been sent of all of us. It was only Don and me from the show but we had pictures of Fred. We’re on the stage singing away and the people we looked at – they’re tearing the pictures into pieces! AR: It was terribly flattering, you know. Easy on the ego. That was one of the ____ that the Education in Washington did make. Other than that, we did this a lot of places with children. It was gut-wrenching and yet it was wonderful. We really…they seemed to enjoy it and it was good. It was a wonderful experience. All of it. I don’t know what else you wanted to know unless you want to know about my background. NA: Actually, staying a little bit on these topics, I know you mentioned that you met Fred through Don Brockett. Now how did you meet Don Brockett then? AR: Years ago I was doing a show here for an organization and there was another friend who was in the show and Don was a friend of hers and she invited him to come see the show and that’s how we met and then became friends. And then Don and I did a show aside from Mister Rogers. We did a show together but we did – “If I were a rich man” – Don even had a friend paint a picture of Fiddler on the Roof for me. We did a mini-version of that – a half-hour version in the tri-state area. We had a wonderful time doing that. Don was so wonderful about stopping at any antique shows or shop anywhere. And if we passed one on the road, he’d make a u-turn and we’d go back. Some of my better purchases were with Don and Leslie on our way to do some show or on our way home from doing some show. But I started out, I went to Carnegie Mellon Drama School. It was Carnegie Tech then. Carnegie Institute of Technology which was called Tech. I left after a year and a half because there was really no musical comedy. So in a letter, my voice and speech teacher, who was really a nationally known – really internationally known, ___ Stewart – gave me a letter to Warner Brothers -- to the head of Warner Brothers in New York -- and that’s who got me my first job in New York with Warner Brothers. I was in Best Foot Forward. Then I came back to Pittsburgh – I went to California and back to Pittsburgh and modeled for three department stores and then went into fashion and became a fashion coordinator at Gimbel’s. From there did fashion shows and fashion production. Over the years taught fashion classes at Carnegie Institute and also the Power School which is part actually of what became Point Park College or Point Park University as it is now. I did the Pittsburgh Ballet Theater. I played the princess mother in Swan Lake for about five years which was a really wonderful experience. And then I did shows for Civic Light Opera and the Pittsburgh Playhouse. So it’s been an interesting time. I have three children. My son, the oldest, he’s a dentist. And two really creative daughters. Talented and creative and wonderful -- they’re both artistic – extremely – and genuinely nice people which is nice to be able to say. We had some wonderful times. I’m sure whoever else you’ve talked to, Betty and – Betty is a remarkable talent and I’m sure she’s probably told you about the operas which were the most fun of all I think. NA: It seems like the operas are a lot of the favorites of people who watched the show as well. As a kid I remember watching those and as I’ve gotten into building this website, it seems that the people I’ve been in contact with – those are the ones that stand out most are those operas. Those were the favorites. AR: And they were such fun to make, too, Tim. They really were. We had rehearsal time for them and it was just a joy. NA: Do you have a personal favorite that stands out? AR: Yeah. Bubbleland. I love that one. I think Joe was wonderful in Bubbleland. John Reardon was so perfect as the newsperson. Betty was wonderful. She’s good in all of them. And Potato Bugs was fun. They were all fun to do. NA: They were so detailed and so creative I think it would be the kind of thing that would be hard not to have fun doing. NA: That seems to be another favorite because I’ve actually heard that from several different people. It seems to be that’s a major story that stands out when they talk about Bob Trow is that one comment he made. AR: Bob and I did some personal appearances out of town, too. We went up to Washington and Wisconsin for their educational TV shows. He was really a delight to travel with and to be with because he just had that really, really wonderful humor. I think that was why he was such a popular radio personality – which he was for many years. He was just a genuinely nice person. You know, that’s the other thing, Tim. The people on the show, I think Fred was kind of a genius in picking people because everybody got along well. Everybody admired everybody else and respected their talents. Most of the people had multiple talents. It was always a pleasure. It was an absolute pleasure to be with everybody. And maybe that’s Fred’s genius...part of his genius. NA: Do you still keep in contact with anyone from the show? AR: Oh, yeah. Betty and I talk a lot. I saw Don up until the day he died. Chuck I talk to occasionally. Not because we wouldn’t enjoy it, it’s just that our paths don’t seem to be crossing too often. I think Betty was probably the most important person in the show. AR: Well obviously. You know she was and she was…she’s also of multiple talents. And so bright, Tim. She’s really genuinely and beautifully intelligent. And also a joy to be with. With a good sense of humor. NA: Well that’s the interesting thing, I think you and I talked about this earlier in the week on the phone was that a lot of times people who watched the Neighborhood program, they kind of cut off their perception of the people who were on the show as that was their entire being. And there was so much more to every person on that show and the more I dig into this and talk with people like you and with Betty and other people involved with the show, you just learn so much information and so much more about these people that you kind of had pigeonholed into one specific character for so many years. Then it hits you like a ton of bricks – these are just extremely, extremely wonderful, talented, all-around great, great people. AR: Don was a wonderful producer of shows. Script them, produced them, and I have to say starred in them. He did a show at the motel here. I say motel – I don’t mean to denigrate the motel but it's more than that. They had wonderful shows. And Don did those every summer for a number of years and they were really creative and funny and wonderful and the songs were brilliant. He produced a number of industrial shows, too. I don’t know if you knew that. He used a lot of talent from the city. There was one big show that he took to New York. It’s a very funny story about that but…it was panned by the critics and it's sad because it was really, really good. I don’t know what happened, I don't know why – it was Off-Off Broadway. We flew up for the opening and had a wonderful evening but not so nice once the reviews came out. It was sad for him. It was very sad. Don’s widow -- that I see frequently -- she’s remarried but we’re part of a lunch group along with Joanie Negri, Joe’s wife. There’s a real talent. AR: Oh, my! And such a nice person. They’re a wonderful couple with a really lovely family. Joe is one of the most modest people you’d ever meet. Just dear. Very dear. AR: Well, may I say, Tim – there weren’t that many Neighbors! And not that many women, shall I say. However, it’s lovely of her to say. It really is. NA: Just to hear your background. 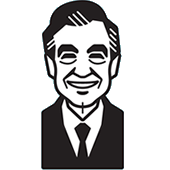 Just so much beyond and outside of Mister Rogers’ Neighborhood which was such a small part of the things that you’ve done and the things that you’ve accomplished. You mentioned Best Foot Forward earlier all the way up until…I understand that you’re a talented and accomplished artist as well, right? AR: I do love to paint. I’ve done it all my life, Tim. I’m still doing painting. I sell things that I paint. That’s really the joy of my life since I’m not really working anymore and not doing shows anymore. NA: In the Music Man! AR: Music Man, uh huh. And I did Mrs. Upson in Mame. Those parts were wonderful. And the Playhouse. The Pittsburgh Playhouse I did a number of shows. I tried working them in because, you know I’m sure with three children – I had three and I tried really managing to be home always when they got home from school which was one thing. And I didn’t really do shows that took me out of the house at night until they were a little older. When I was writing down things I thought, “Oh, there was a lot that went on!” But there were a lot of years, too, Tim, that it all went on. I have to tell you the other thing, too, about Mister Rogers. It was totally done on a, I won’t say on a small budget, but costuming…in later years it got better. But I know I dressed Betty when she did the rich lady opera with a dress I wore for my daughter’s wedding plus about 42 pounds of costume jewelry in order to play the rich lady. We sort of dressed ourselves. Carnegie Mellon costume department did a lot of the costumes. And they were wonderful because that’s about as good as you can get when it comes to doing costumes. It wasn’t a lavish budget show. As far as character are concerned, or puppets, Lady Elaine was always my favorite. Probably because I envied her ability to just say whatever she wanted to say. NA: I think a lot of people envy that ability. AR: As I say. It was a wonderful experience. It was 32 years! I started in – I said to you I can’t remember if it was ’69 or ’70. And then we finished in 2002 and I missed the last day of taping because I had the flu. Which always made me sad that I missed that. And we lived always so close to Fred. And Fred always had the, I don’t know if you’ve heard, the tacky parties. He had the tacky parties in Nantucket and also here. Like on Valentine’s Day he had a tacky party at their home. You came dressed as tacky as possible. The food was tacky which wasn't hard for Joanne Rogers because she hates to cook. And the guests would always so some tacky thing. It was a lot of fun. It really was because you’re dealing with pretty creative people. Fred would _____ tacky parties. We were famous for them because not that many people _____ Fred. They were a lot of fun. And they had the house in Nantucket – I’m sure you’ve heard about the Crooked House. Fred and Joanne – neither one is fancy people. Joanne, I’ll see her in a couple of weeks. We have a lunch group and Joanne is part of that, along with Barbara Russell who used to be Don Brockett’s comedy partner. Don and Barbara were a wonderful comedy team around the city. NA: She’s a part of this lunch group as well? AR: Yes, Barbara Russell is. We have a really great group. NA: It’s sounds like it. I know this is going to be a very broad question, a very open-ended question, but if you could describe what you took away from your experience with Mister Rogers’ Neighborhood, how would you describe how that has affected you and how that has made you the person that you are? AR: Oh, Tim! I really don’t know how to answer that. It made me think a lot more about what most of us do naturally. Most of us do it naturally, Tim, and we don’t need a course in how to parent. Although today I think a lot of people do somehow. But that’s one thing. Because Fred was so careful – you’ve heard that the wonderful psychologists that went over every program. Every word. There was no ad-libbing which wasn’t a problem. You learned your script and that was it and you enjoyed learning the script. I don’t know how to answer. Well it made me into really a nationally known personality. Wherever we went people – not today, Tim – because you know the show hasn’t been on for so long. But that’s nice to have that sort of validation and recognition. It’s surprising the number of people and children who watched. And parents then, Tim, were home. You know, mothers are not today and haven’t been for a long time, because economically they haven’t been able to. I think in most of the nursery schools. I don’t know if…now have you seen the new show at all? NA: I have. Actually my kids were really excited about it as the premiere was coming up and they enjoy it. AR: Oh, do they? I’m glad to hear you say that. With 2-4 year old will be watching it. We’re all too old I guess. I wondered how that was going to be accepted. NA: If my kids are any indication, they fall right in that target range of the age that it’s directed towards. If my kids are any indication, it’s a hit because they love it. They absolutely love it. AR: Oh, I’m so glad to hear it! Oh, I’ll tell Joanne. NA: I truly appreciate you taking the time to talk. AR: It was my pleasure, Tim. NA: It’s been wonderful hearing your side of a lot of Neighborhood stories and again I can’t thank you enough for spending some time with us today.